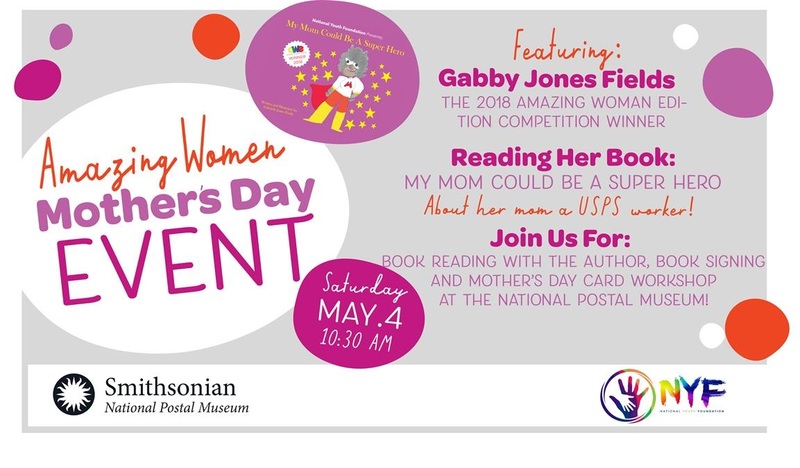 Come join us for a lovely book reading with the 2018 winner of the National Youth Foundation Amazing Woman award youth author Gabby Jones Fields as she reads her book, "My mom could be a super hero," about her mother, a USPS letter carrier. Stay and potentially win a copy of the book or other National Youth Foundation books, get it signed by the author and make your own mother's day card! It is a fun day for all ages!